Until 1964, you could only reach this hotel by sea – and then, you’d have to be carried up the rocky cliffs by hammock. That’s not the only fantastic story you’ll hear at Belmond Reid’s Palace and its surroundings: from its famous guests to legendary wine developed by Jesuit priests, this rugged chunk of coast is swathed in myth as it is in beauty. Nestled among lush subtropical gardens, the hotel is perched above Funchal Harbour and its glorious cobalt sea. You’ll find traveller memorabilia, period décor and local handicrafts in a sophisticated setting; best of all, you’ll get to live the local culture and the legends of Madeira, in all of the experiences that are on offer. Wander in the gardens to relax & discover the beauty of the plants that make Madeira a magical place. Amazing old world hotel - beautiful gardens and outside areas and fabulous staff. Excellent breakfast - simply fabulous! 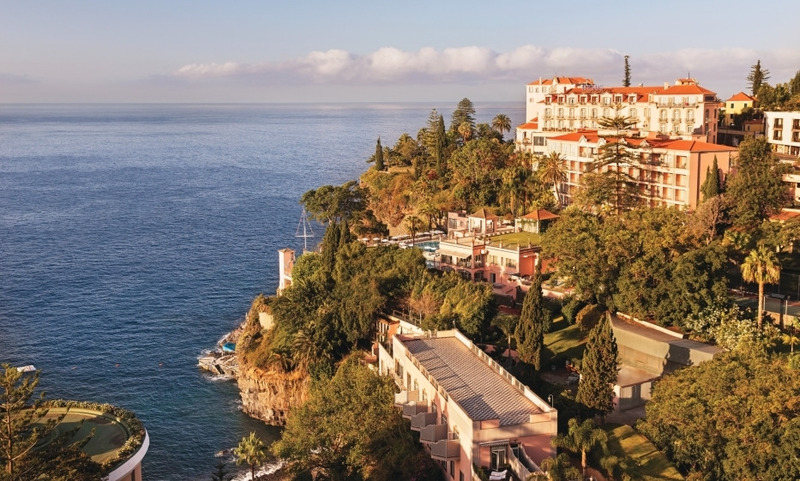 The Belmond Reids Palace is a hotel with a soul. Everything is perfect. A big thank you to Grand Luxury Hotels for the room upgrade. We had one of the most comfortable stays there and we only want one thing: To return! This hotel is just incredible. Thank you. Great place to relax and enjoy peaceful holidays Only thing I would have liked was a spa menu in the room! It was a wonderful experience. We preferred having dinner in our room every night and it was perfect. The special attention we received for our wedding anniversary was very touching and we want to return as soon as possible. Excellent. I'm very pleased with the upgrade, the dedication of the personnel and the general cleanliness. It is a great hotel with a long tradition. The location is perfect. The staff is very friendly. The concierges helped us win many questions about nice trips in and out of Funchal. No question we will return some days. I'm glad to say that the hotel itself still maintains the high standards we experienced during our last visit in 1989. It provides excellent live music, dancing and an unsurpassed park. Staff on all levels are very friendly. History is living. Charming location and building and nice service. High prices with regards to the quality. Great experience anyhow. Great Hotel. Very friendly service. Went out of their way to help and make us feel comfortable. Average age of guests quite high. Everything was OK, but we were not pleased that toilet was not separated. It was located opposite the shower with glass-door.